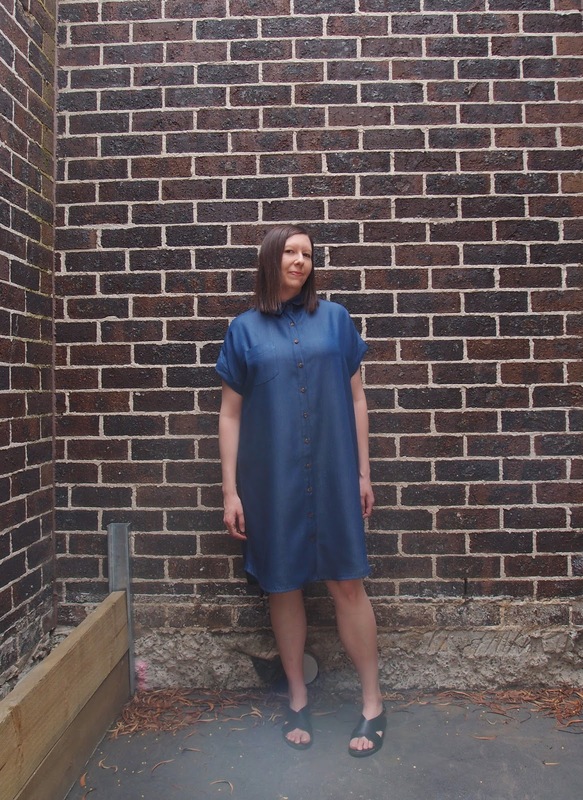 When I posted about my cropped Kalle Shirt the other month I mentioned that I had plans to make the shirtdress version in the same fabric ... well, here it is! 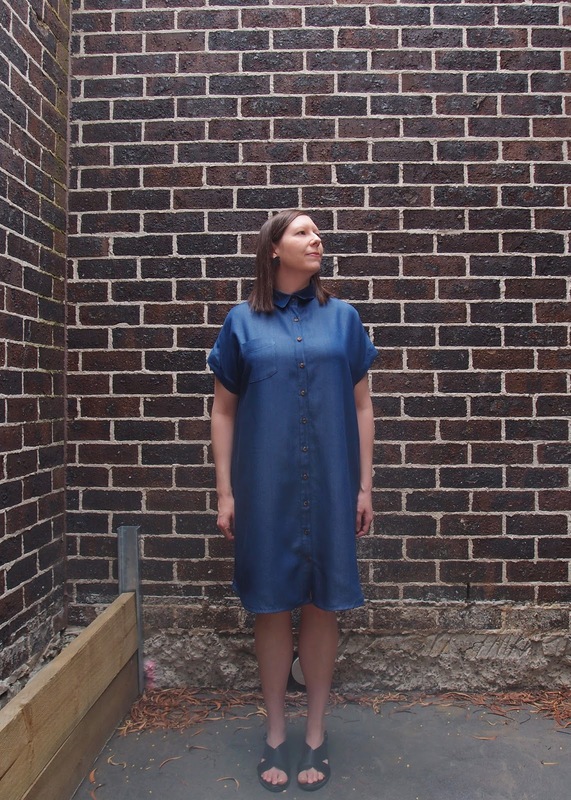 This pattern is the Closet Case Patterns Kalle Shirtdress with collar, front pocket, standard button band and a box pleat at the back. 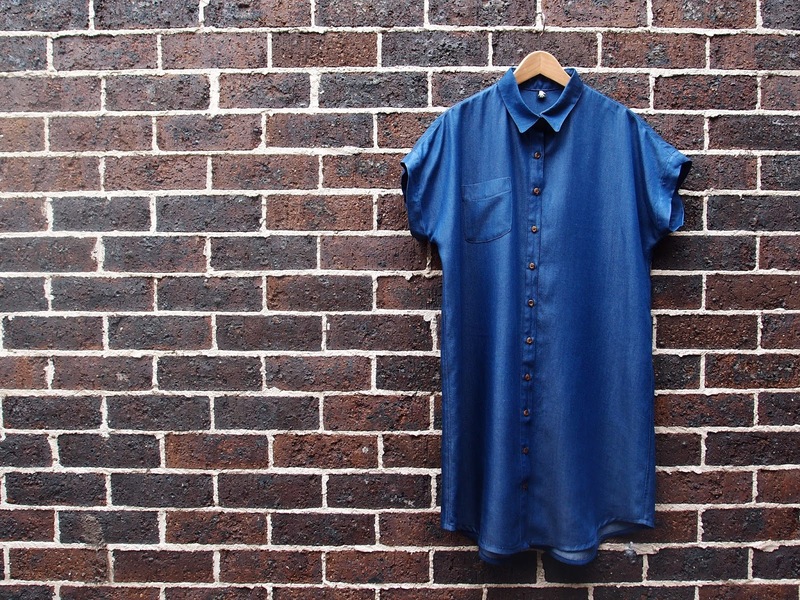 I used the same dark blue denim Tencel as I did for my shirt, paired with some tortoise shell buttons. 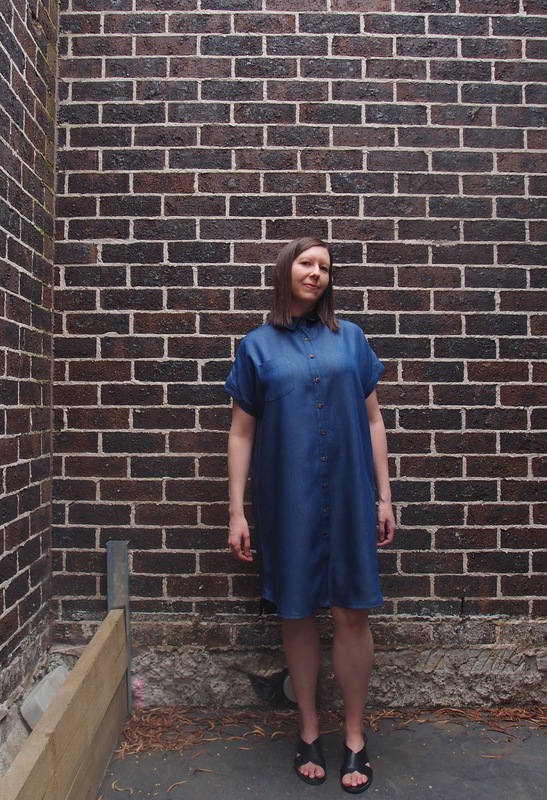 As with the shirt I sewed up a size 14, but I didn't really consider how a loose, boxy cropped shirt would fit quite differently to a dress, so this turned out to be a bit oversized. You can't tell so much from the pictures, but I think I could have gone down a size or two and still maintained a loose fit. At one point I considered taking the whole dress in, but decided it would be too much hassle unpicking the topstitched side seams and sleeve cuffs. 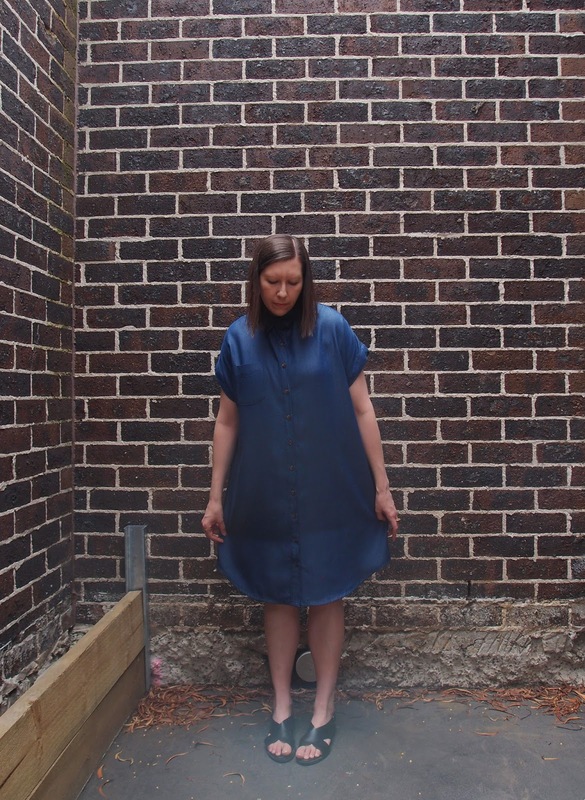 Plus I figured with Tencel draping so nicely the loose fit wouldn't be such a bad thing, especially in the heat - I wore this in Brisbane over the hot Christmas break and it was really comfortable and breezy. I originally lengthened the dress by a couple of inches, but then the back hem just looked way too long. So I cut off all of the bias binding I had painstakingly attached, trimmed the dress back length to sit about an inch below the front, and cut and sewed on new bias binding. 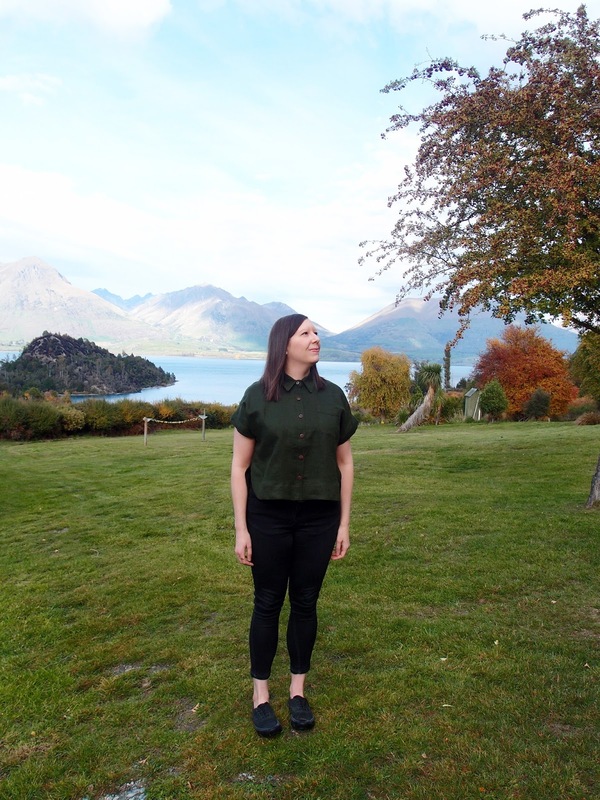 It was a bit painful at the time, but I'm really glad I took the time to do this as I much prefer the front and back lengths now (I'm not sure I was so into the dramatic high-low hem feature). 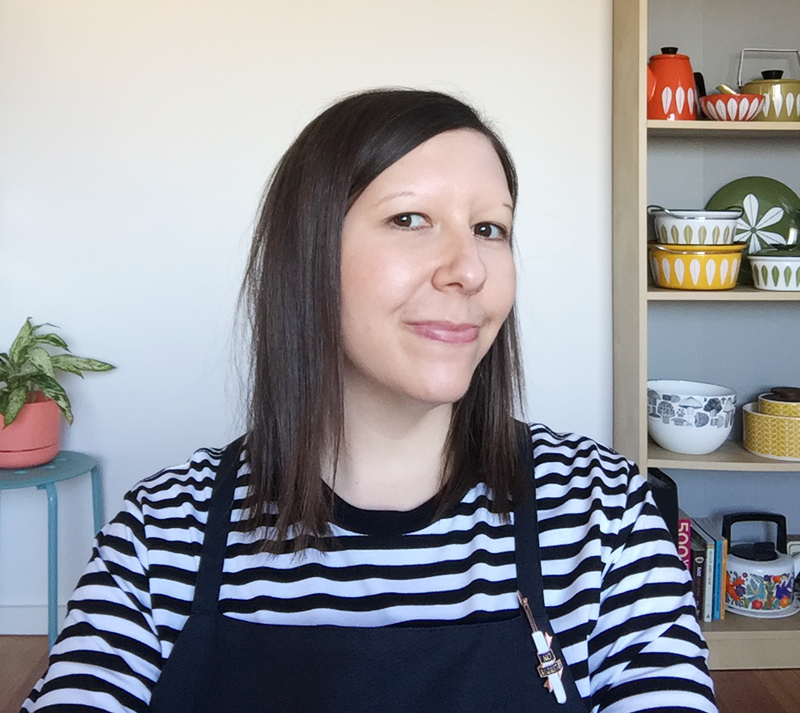 I took my time with this make, ensuring all of the the topstitching was neat and tidy, and I also added a cute little feature in the form of a 'handmade' woven label from Kylie and the Machine, which I sewed into the collar band. The result is a well-tailored dress that, despite being a bit big, I really love! Thanks Sarah! 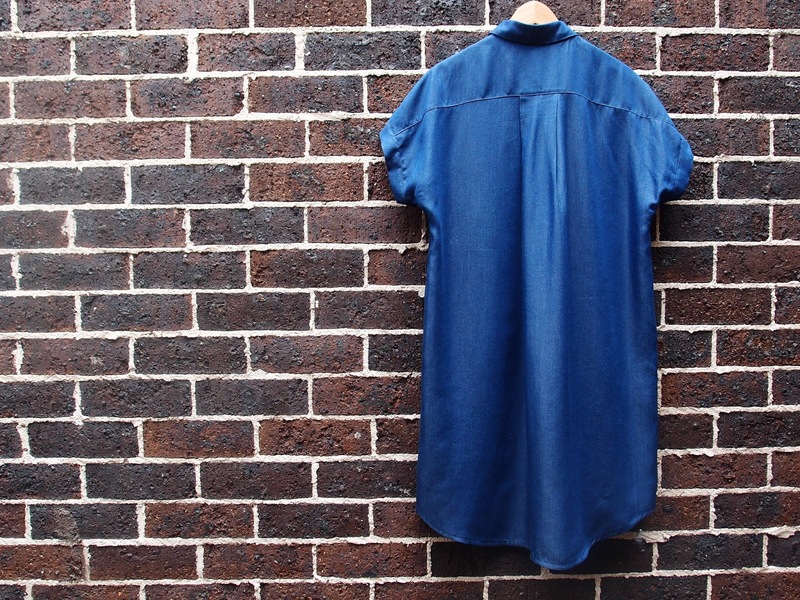 It's so comfortable to wear on those uncomfortably hot days.